NEW Dial® Sugar Cane Husk Scrub Hand Soap is the newest member of the Dial® Boutique Collection Hand Soap line, bringing luxury to your hand washing experience. With a creamy sweet scent inspired by fresh cut sugar cane, this premium formula with gentle micro scrubbers cleanses deeply while moisturizing and smoothing skin. I was very fortunate to be able to check out Dial Sugar Cane Husk Scrub Hand Soap. This soap is from the Dial Boutique Collection. These are more than just basic hand soaps they have vibrant scents, with refreshing moisture and gentle micro-scrubbers. The idea of a Sugar Cane scrub soap, is wonderful. But how would it smell, and work, would they really put me into a great spring/summer mood. Well yes, I would have to say so, the smell was so light, sweet and clean smelling. I was very impressed. We used the soap in our bathroom during a family event, and I got quite a few complements on it. My guests loved the look of the soap and the smell. I will be picking up more of these wonderful soaps soon. If you are looking for a new soap, that smells great and clean your hands well, you are going to love the NEW Dial Sugar Cane Husk Scrub Hand Soap! This new soap is amazing, and I am sure you will love them too. The generous folks at Dial are giving one of Susan’s Disney Family readers a chance to win 3 free Dial hand soap coupons. Would you like to win? Please let me know what you love most about Dial? There are also other ways to enter, please enter below. You can purchase Dial hand soap at your local grocery store. Disclosure: The reviews and or opinions on this blog are my own opinions . I received hand soap to review/ No monitory compensation was received. I was not required to write a positive review. Your experience may differ. The opinions I have expressed are my own I am disclosing this in accordance with the Federal Trade Commissions 16 CFR Part 255: Guides Concerning the Use of Endorsement and Testimonials in Advertising . I love that this has gentle micro-scrubbers to help get your hands clean. I really like the variety of scents they offer! I love Dial, they are great and the price is wonderful! I love their huge variety of products! I like that Dial soap is moisturizing. I love the gentle clean it gives me. I lvoe that they offer a variety of products with great scents! I love the great scents and even greater price. I love that it's affordable and works well. I like the great scents. I like how it cleans and moisturizers. I like the fruit-scented soaps. I like the scents that are available. I like that Dial is affordable, and I like the variety of the products. I love how many different varieties they have, from anti-bacterial to moisturzing. 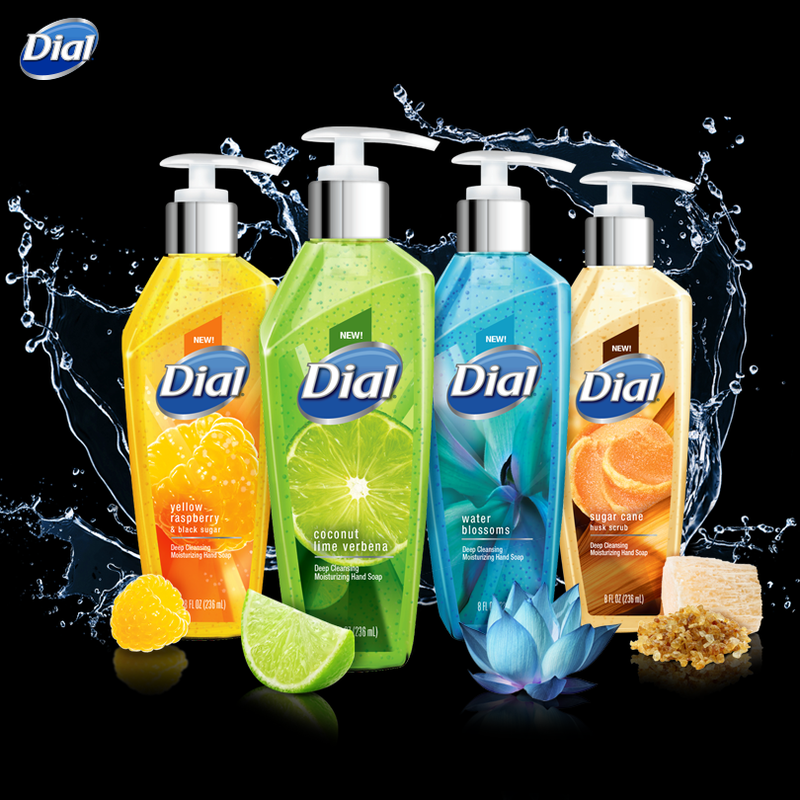 I like the fresh scents with Dial soap. I like the price of Dial soap. I do love Dial soap for the lovely scents and also that it moisturizes my skin. I love how clean my hands feel when I use it and I love the scents. 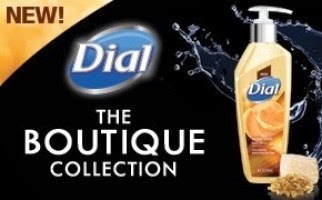 I love the scents of Dial soap. I love that they do the job and the variety. I like that it is affordable..
What I like about Dial soap is it's reputation. 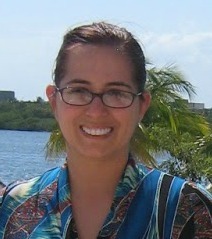 My surgeon highly recommended it prior to having surgery. He must know something about germs and what get's rid of them. I love their prices and I love their assortment of items!! I like how well it cleans and also the scent of the soap. Thank you for the chance. I love all the scents they have. I love the price and the different scents they offer. I love the scents that they have and that my hands are left feeling so clean! 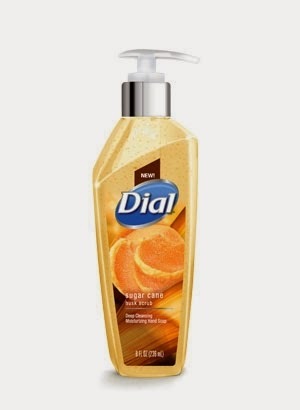 I like Dial products because they don't hurt my skin and I like the smell. I love that it works and all the great scents! I love that they offer such great and unique scents plus keep your hands moisturized!